First crush, first love, first kiss--Chloe must choose between her virtual almost-boyfriend and her best guy friend in this addition to the sweet and clean Flirt series. Chloe has the best almost-boyfriend ever. Trevor is smart, talented, witty, and good-looking. Basically, he's the perfect guy for her--except for one tiny detail. He lives hundreds of miles away. 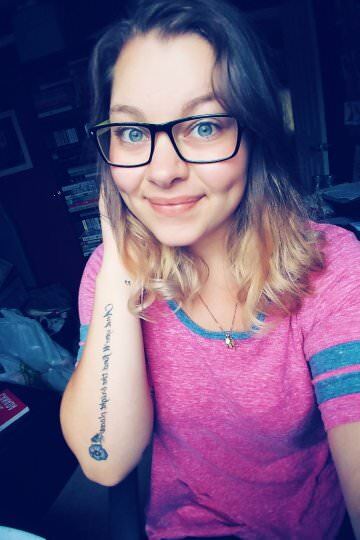 Chloe met Trevor at music camp when they were kids and was so excited when they reconnected in an online music forum a few months ago. And they've been flirting non-stop ever since. Chloe's boy-crazy best friend Vanessa thinks it's the most romantic thing she's ever heard, though her other best friend, Kazuo, isn't so sure. Turns out Kaz actually has a crush on her! Chloe can't imagine her life without him, but she's never thought of him that way. Still, Kaz talks Chloe into giving him a chance and going to the big school dance together. Chloe is almost ready to agree when she gets the most amazing news--Trevor is coming for a visit! But when Trevor shows up, things don't quite go as well as Chloe was expecting, and by the time she realizes her old camp buddy has changed--and that he might not be Mr. Perfect (for her) after all--Kaz has already asked Vanessa to the dance. Did Chloe just miss her chance at true love? Alright! So let me start off by saying that I received this book from the lovely people at Simon and Schuster Canada (Thank-you!) So this is the newest book in the Flirt series, but from what I have gathered, you can read them all a a standalone, because they are all different stories. This one is about Chloe, Trevor, Kaz and Vanessa. They are all in high school, but still very young. I found that this was a very cute and innocent novel, which is probably why I didn't absolutely love it. I think having some sort of drama, or more mature conversation in the novel would have made it better. I really did like the aspect that more modern language has been put into a novel. Sometimes, I find that more and more, there is more of an adult language being written for characters that are freshman in high school. So having words like "bae" and "lol" put into it, makes the younger generation feel more connected to the novel. I definitely had some laughing moments when reading about how Chloe thought she found her "Bae"! From the beginning, I got the sense that Kaz was having some sort of feels for Chloe, and also that Trevor came off totally not how Chloe described him. I felt like there was more of a one-sided relationship between Chloe and Trevor. Also the fact that they never really talked about being an official couple, made the idea seem as if it was totally possible to drop each other like a hot potato. Sometimes you can tell when you have the right person you want to be with, right in front of your face. Other times, you get blinded with what you think you want, and when you look really closely, you realize that it was just dirt instead of a diamond. What I loved as well was the fact that the friendship was so real. I'll admit, it gave me a flashback to my Lizzy McGuire days (Yes, I watched that) where there were 2 girls and a guy as a group of friends. For a while, when Chloe was talking so much about Trevor, I kind of rooted for her, hoping that he would be the guy she wanted, but as i started to read more into the friendship of the three, I realized that Kaz was more of Chloe's type. The hardest part for her, was to decide which was best for her. Chloe obviously couldn't see what was right in front of her, but the decision she made in the end made a lot of sense and was great. "Romance wasn't about a single night, moonlight or otherwise. It wasn't even about a special first kiss...it was about being comfortable together. being able to count on each other, being happier than when you were apart." After reading that, and finally seeing how the ending turned out, It was just so cute! The ending was so sweet, and I think that if someone were to do the same for me, I would be in the exact same position as Chloe! Overall this was a cute, and lighthearted read. I found the writing style to be very well done, as well as having current language put into it. I think that the adventure that Chloe went on had a lot of ups, downs, and a whack of loops in between. However, I did find it to be fairly slow, only having really getting there about halfway through. I think it would have been better to have more happen after the ending. Like if there was a little epilogue or continuation after, it would have been better. I would recommend this read to anyone that is starting out in high school or younger. Very cute, innocent and fun to read! 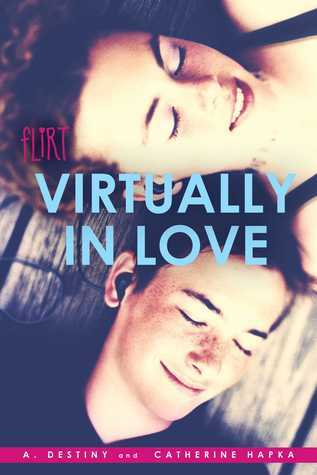 That is all for my review of Virtually in Love everyone! I hope you enjoyed it!